Samantha is a high-powered lawyer in London. She works all hours, has no home life, and cares only about getting a partnership. She thrives on the pressure and adrenalin. Until one day...she makes a mistake. A mistake so huge it'll wreck her career. She goes into meltdown, walks right out of the office, gets on the first train she sees, and finds herself in the middle of nowhere. 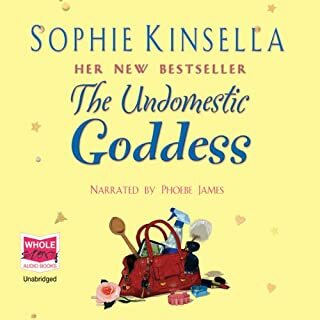 Would you listen to The Undomestic Goddess again? Why? Yes I am sure I have missed bits. Have you listened to any of Phoebe James’s other performances? How does this one compare? No I have not heard her before But I am impressed with her performance excellent. This book made me laugh it made me jubilant "eventually"
Highly recommended. Its a good read More interesting than your average chick lit. It fun, romantic and satisfying. An easy read with a great twist. We don't always know what we want. 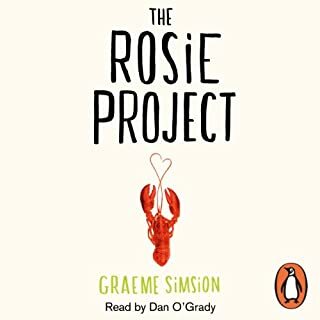 What was one of the most memorable moments of The Rosie Project? The restaurant closely followed by the deans room meeting. I laughed all the way through. This is an excellent book with subtle humour. A great read. This is an original story I really recommend it. An original story beautifully read. I rate it in my top ten. Ancient and Modern In Perfect Harmony! 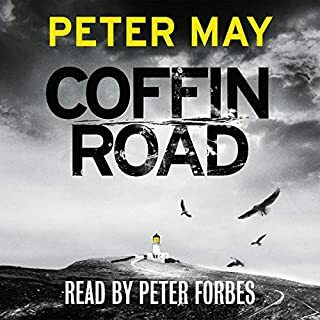 If you could sum up Coffin Road in three words, what would they be? Who to trust. Nothing is what it seems. No one is who you may think they are. What does Peter Forbes bring to the story that you wouldn’t experience if you had only read the book? Peter Forbes has a wonderful voice. He clearly leads you through the story. I would be more than happy to find a cosy spot to sit and listen again to the whole story. One of the best stories I have ever read. An original tale with twists and turns throughout. Well recommended a great read. Very satisfying. Weddings, romance, humour ,and happy-ever-after endings. The deliciously romantic new novel from the number-one Sunday Times best-selling author of Recipe for Love, A French Affair, and The Perfect Match. In a small Cotswold country town, Beth, Lindy, and Rachel are looking for new beginnings. So they set up in business, organising stylish and perfectly affordable vintage weddings. What made the experience of listening to A Vintage Wedding the most enjoyable? 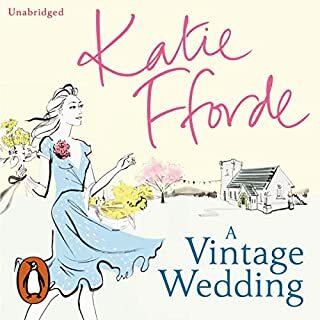 What other book might you compare A Vintage Wedding to, and why? Have you listened to any of Jilly Bond’s other performances? How does this one compare? It made me laugh and held my interest. Great story recommended for chicklit romcom lovers. Three very different woman, all with a different tale. Lots of great characters. I will enjoy this again sometime. 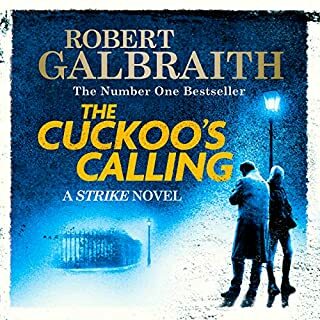 Would you listen to The Cuckoo's Calling again? Why? What was one of the most memorable moments of The Cuckoo's Calling? Which character – as performed by Robert Glenister – was your favourite? An origin take on a well trodden genre. Well worth the read The back stories and details add colour and texture to a well thought out tale. If you could sum up A Cottage by the Sea in three words, what would they be? 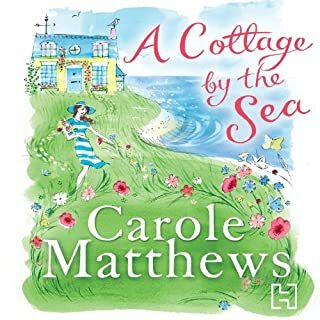 What other book might you compare A Cottage by the Sea to, and why? I have not read one similar to this its a unique original story. What does Claire Corbett bring to the story that you wouldn’t experience if you had only read the book? I think she is great I really enjoy her reading. She flows smoothly and consistently from character to character. Also I listen to these books in bed you don't need the light on to listen. rough seas and stormy relationships. 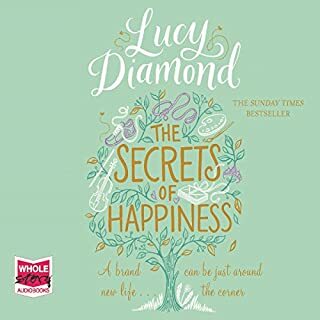 Would you consider the audio edition of The Secrets of Happiness to be better than the print version? Audio is better for me. I read snuggled up in bed. I can't have the light on as this would disturb my husband. Stories lull me to sleep. The book is full of wonderful characters. Eight of whom I would love to get to know. Even the villains of the story are interesting characters, adding colour and contrast to the story. Have you listened to any of Gabrielle Glaister’s other performances? How does this one compare? Yes I have listened to her read other stories. She is alawys excellent, her characterisation is brilliant she moves seamlessly from one distinct character to another, It must be a challenge to narrate voices from Birmingham, Manchester, Liverpool and Wales all in one story. All of whom she very believably portrait's without apparent stress. Oh no. I enjoy the daily development of the story and the characters. I enjoy looking forward to the next event. The saddest thing is the end I don't want the story to finish. I really would like this book to go on and on chronicling the lives of such lovely people. This really is a unique story. There is romance but this is not the focus of the book. If you want more than girl meets boy, they have a row, make up and fall in love and sail off into the sunset, then this book is for you. I don't think you would be disapointed. 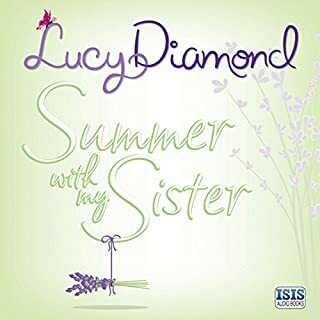 Would you listen to Summer With My Sister again? Why? Yes I will listen again. There are always new angles and missed snippets to be gleaned from good books..
What other book might you compare Summer With My Sister to, and why? Sweet Temptation this one is better. Have you listened to any of Kate Rawson’s other performances? How does this one compare? I found this a good read. However I feel it difficult to believe that such a high flyer coould really be as silly as she some times is. Sian Bishop has only ever experienced one moment of recklessness – a moment that resulted in her beloved son Rory. It’s not that she doesn’t love the outcome of that wild night, but since then she has always taken the safer route. So when dependable, devoted Richard suggests a move to the beautiful English countryside, she leaves the hustle and bustle of the city behind, and she throws herself into the picture-postcard cottage garden, her furniture restoration business, and a new life in the country. Would you consider the audio edition of Summer of Love to be better than the print version? It could be said, as I like to read in bed that the audio version is better However when sitting relaxing, the written version is better. Get to know someone before you sleep with them. 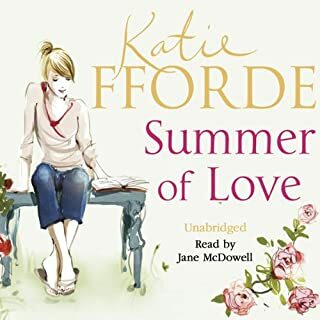 I enjoy Katie Fforde but this narrator could put you off. The gift of a lifetime? Anna Browne is an ordinary woman living an ordinary life. Her day job as a receptionist in bustling London isn't exactly her dream, yet she has everything she wants. But someone thinks Anna Browne deserves more.... A parcel addressed to Anna Browne arrives. She has no idea who has sent it. Inside she finds a beautiful gift - one that is designed to be seen. 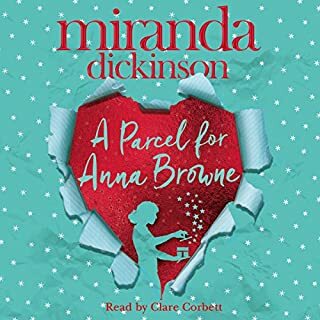 Would you listen to A Parcel for Anna Browne again? Why? Defiantly. A brilliant story on many levels. Shenice Wilson she made me laugh. Probably due to Clare Corbets fantastic narration. She glides from character to character seamlessly. Eventually I warmed to Anna. Watching her grow was heart warming. I don't want to spoil the story so I will just say one with her mother, one with her boss and and one at the end. Its a story, a puzzle and its full of life lessons. Well worth a read.